Hardware and software solutions to meet your business needs. Having current, custom hardware is a necessity for a successful business. Without a dependable fleet of desktops and laptops, conducting day to day operations can become incredibly complicated. 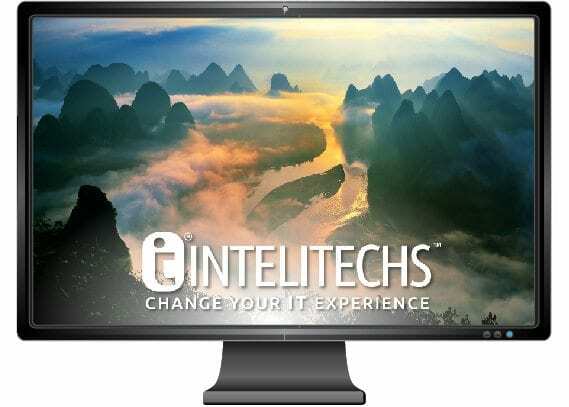 At INTELITECHS, we offer high-quality, customized desktop and laptop solutions, and provide a two-year parts warranty so you can stay up to date on your hardware. We are a registered partner with Dell, and build our desktops with parts from companies including Intel, Kingston, Seagate, and Microsoft to give you a workstation that can handle your needs. In addition to providing business-ready hardware, we specialize in an array of different software options, ranging from Microsoft to Sophos Endpoint Protection. As part of our network installation and design, we can provide the networking equipment and software to scale your company and get you working properly. Whether it’s a new network switch, firewall setup and configuration, or getting wireless access points throughout your office, we’re ready for the job.